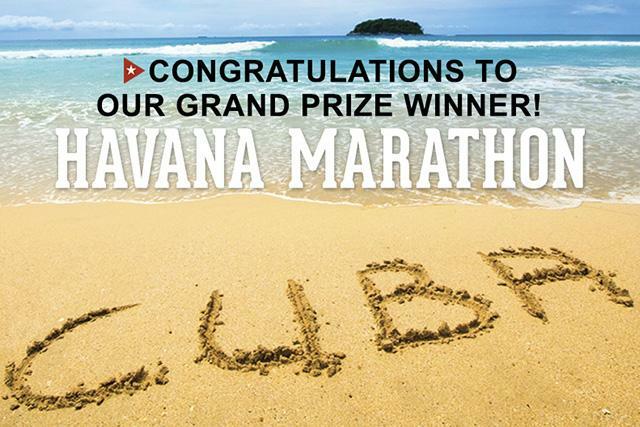 We are very excited to announce that our Grand Prize Winner of the Havana Marathon Facebook Sweepstakes is... Ted Rodgers! Ted was so excited about winning his “dream trip” when we told him, that shortly after he convinced his whole family to sign up for the Havana Marathon 4-Day Tour as well. Together they will embark on an exotic running trip that has previously been off limits to US travelers for decades due to the US embargo with Cuba. What makes this trip extra special for our winner? We’ll let him tell you in his own words. If you are interested in updates from our contest winner, Ted Rodgers, we have great news! He has graciously agreed to blog about his travels to share on insightCuba.com. Check our blog often for updates. Want to learn more about the Havana Marathon 4-Day Tour? The Marabana Havana Marathon offers the perfect opportunity to put on your running shoes while seeing Havana’s sights. You too can experience this opportunity of a lifetime, all you need to do is book your trip. Interested but don’t want to run a full marathon? The Havana Marathon is not just for full marathoners. You can participate in the full event, half marathon or 10K. Learn more about running the Marabana Havana Marathon in our recent blog post. Not sure if you can be ready for the run? Learn some Havana Marathon Running Tips from someone that has run the Marabana Havana Marathon before, accomplished distance runner, author, trainer, and coach, Jenny Hadfield. She provides some great "insight" (pun intended) in another recent insightCuba blog post. If you have any additional questions or comments, please leave them below. If you are interested in visiting Cuba on one of our many tours, be sure to stay in touch with insightCuba on Facebook, Twitter and Pinterest.